Leading Manufacturer of fancy diwali wall hangings, diwali kamal lantern, multi colour ball, happy diwali hangings, diwali fancy wall hangings and diwali hanging from Delhi. With enriched industrial experience and expertise, our organization is actively committed towards offering Fancy Diwali Wall Hangings. Used in diwali for decoration purpose, our provided wall hangings are obtainable from us on numerous customized options as per the choice of customers. The offered wall hangings are precisely designed with the help of finest quality material and modular techniques, in fulfillment with the latest trends of market. 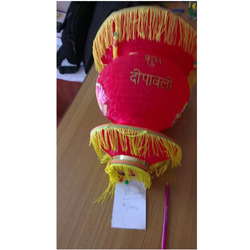 We are one of the noteworthy manufacturer, wholesaler and supplier of Diwali Kamal Lantern. Use this range for lighten up & decorating your house; these lanterns are manufactured using supreme class material and best techniques by our skilled workforce in adherence with the latest trends of market. 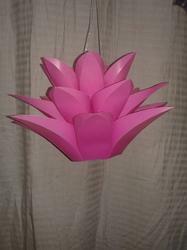 We are offering these lanterns in different colors and sizes keeping in mind the customer’s choices. Backed by a team of highly dedicated and devoted professionals, we are committed towards providing Diwali Lights. 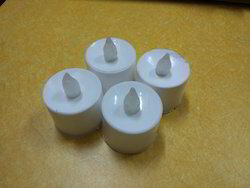 These diwali lights are properly checked from our end before supplying to the customers. The offered diwali lights are designed from the superior quality material with the help of our dexterous workforce as per the standard of market. Besides this, the offered diwali lights are obtainable in various customized options for meeting the demand of clientele. We are completely devoted towards offering a huge gamut of Happy Diwali Hangings. The offered diwali hanging is acknowledged in the market for its easy hanging on desired place. This diwali hanging is manufactured using quality material by our experts in accordance with the standards of market. We offer this diwali hanging in diverse colors, & sizes for our clients to choose from. Our organization has gained recognition as an affluent manufacturer and wholesaler of Diwali Fancy Wall Hangings. Our organization has gained recognition as an affluent manufacturer and wholesaler of Fancy Paper Diwali Light. In our wide range of products, we also offer an optimum quality assortment of 3 Step Decorative Kamal Candle. These candles are manufactured by using excellent quality material under the direction of skilled professionals in conformity with latest market norms. We offer these candles in different colors and designs keeping in mind requirements of the customers. Our given candles are well checked from our side before delivering to our customers. Looking for Diwali Kandil Lantern ?